Mark Elliott enters his sixth season as Clemson head coach for Tigers’ track & field and cross country teams in 2018-19. Elliott came after coaching 20 seasons with LSU track & field, including eight as assistant head coach. Since being named head coach on July 9, 2013, Elliott has rejuvenated both programs and restored the women’s team to national prominence. 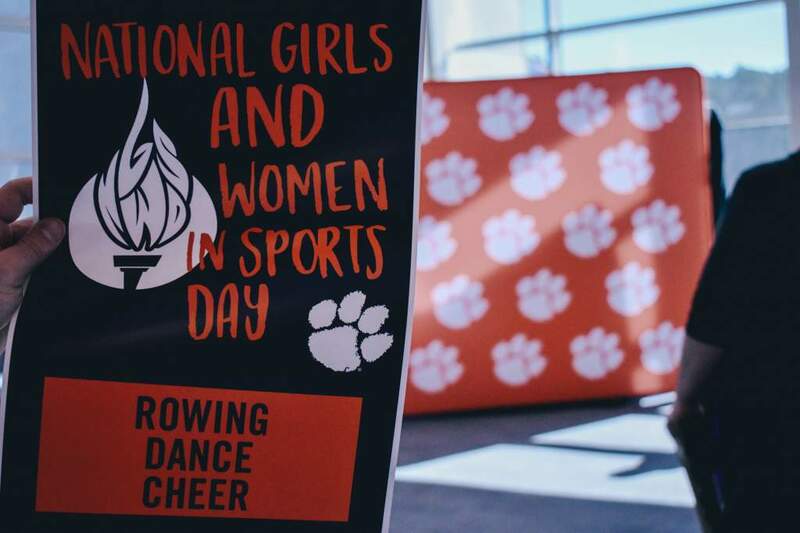 Elliott guided the Clemson women to ACC Indoor and Outdoor Championships in 2015, just one year after finishing no better than eighth as a team. Elliott was tabbed the 2015 ACC Coach of the Year for both the indoor and outdoor seasons as well as the USTFCCCA Southeast Region Indoor Coach of the Year. The Tigers also claimed a 12th-place tie at the 2015 NCAA Indoor Championships following Natoya Goule’s title run in the 800m. Goule was named ACC Women’s Indoor Track Performer of the Year and broke the ACC record in her specialty event after winning the Jamaican National Championship in June 2015. Goule went on to earn a berth at the 2016 Olympic Games in Rio de Janeiro, Brazil. Last season, Elliott guided both the men’s and women’s programs to third-place finishes at the Clemson-hosted 2018 ACC Indoor Championships. The Tiger men’s 4x400m team tallied its fifth straight conference championship after Cordell Lamb, Deonte Tolbert, John Lewis and Jeffrey Green achieved the Tigers’ fourth-best finish in program history. Additionally, then-seniors Jeffrey Green (400m) and Jeremiah Green (triple jump) won ACC indoor titles. Elliott also coached Lewis, a junior in 2017-18, to First Team All-America honors after Lewis placed seventh overall in the 800m run at the 2018 NCAA Indoor Championships. Additionally, Jeremiah Green claimed Second Team All-America accolades with his 11th-place finish in the triple jump at the indoor national championship. On the women’s side, Olivia James, Kendra Clarke, Kamryn McIntosh and Fellan Ferguson won the women’s 4x400m title at the ACC Indoor Championships after turning in the second-best time in program history. Elliott also personally guided then-freshman Kamryn McIntosh to setting the program’s freshman record in the 800m record at the 2018 ACC Indoor Championships, which was also good for runner-up status. Outdoors, Elliott led the largest combined group during his tenure as Clemson head coach to the NCAA Championships in Eugene, Oregon. 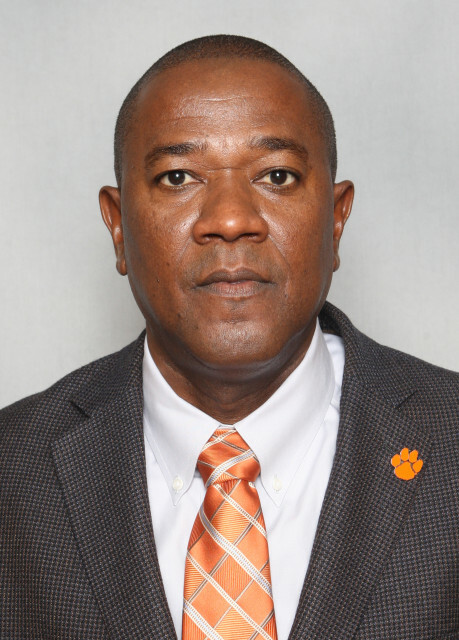 In addition to Lewis, Jeremiah Green and McIntosh, the Tigers qualified seven additional individuals to the national championship as well as the men’s 4x400m and women’s 4x100m relay teams. Elliott led the women’s team to a conference runner-up finish at 2017 ACC Outdoor Championships. The season was highlighted by Iana Amsterdam’s sweep in both the ACC indoor and outdoor triple jump titles and McBride garnering First Team All-America honors in the long jump at the 2017 NCAA Outdoor Championships. After winning both conference titles, Amsterdam earned Second Team All-America accolades indoors alongside teammates Jeffrey Green (400m), McBride, and Sabria Hadley (200m). The Tigers also boasted a First Team All-America women’s 4x100m relay at the outdoor championships, which placed fifth overall at the national championship meet. Clemson combined for seven individual champions (including relays) between the 2017 ACC Indoor and Outdoor Championships. The women’s team earned a pair of top-three ACC finishes in 2016. The highlight came during indoor season, when the distance medley relay won Clemson’s first conference championship in the event in over 20 years. The group followed suit with an All-America performance at the NCAA Indoor Championships. In 2015, the Tigers improved to fourth at the ACC Outdoor Championships, a seven-spot jump from the previous season. One of his athletes, Tevin Hester, was named ACC Indoor and Outdoor Track Performer of the Year, as well as MVP at both championships. The men’s resurgence continued at the 2016 ACC Indoor Championships, where the Tigers came within a mere 12 points of topping Syracuse for their first crown in over a decade. As it was, the runner-up finish was Clemson’s highest in men’s track & field since the 2008 season. Behind Hester’s double gold medal showing, the Tigers won four events, including the 400 and 4x400m relay. In his first season (2013-14) with the Tigers, Elliott’s athletes combined to record six All-America honors and nine All-ACC performances. 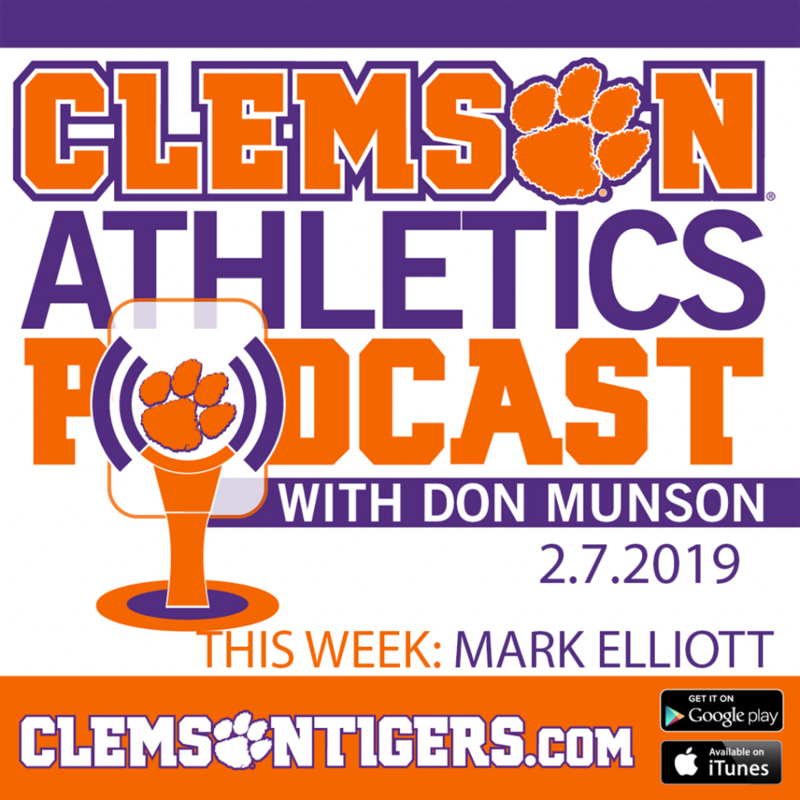 Elliott brought a winning pedigree to Clemson, as he helped the LSU men’s program to NCAA Championship indoor crowns in 2001 and 2004, and to an outdoor title in 2002. The Tiger women won indoor national titles from 1994-97 and 2002-04, and outdoor championships from 1994-97, 2003, 2008 and 2012. Elliott’s athletes played an integral part in LSU’s success. With Elliott on staff, the Lady Tiger women won a total of 12 Southeastern Conference Indoor and Outdoor Championships, six of both. He coached five individual NCAA Champions, all in the 800. He coached Marian Burnett to gold at the 2002 indoor national meet and Neisha Bernard-Thomas at the 2004 outdoor championship. LaTavia Thomas followed with an individual crown at the 2008 NCAA Indoor Championships. Thomas was a 12-time All-American under Elliott’s guidance and swept the SEC Indoor and Outdoor crowns in the half-mile in 2007 and 2008. Her younger sister, Markeeta, signed with Clemson in 2015 after a highly-decorated prep career. In 2013, he coached Goule to National Championship performances in the 800 at both NCAA meets. She and Charlene Lipsey combined to score 31 points and help the Lady Tigers to a pair of top-five team finishes. Goule won the 800m at the Jamaican Championships after becoming the first Lady Tiger to break two minutes in the event, and competed at the IAAF World Championships in Moscow in August 2013. Goule and Lipsey combined to split 800-meter championships at the 2013 SEC Indoor and Outdoor Championships, bringing Elliott’s total to 22 conference champions across 12 different student-athletes. In all, Elliott coached six SEC Indoor Champions and six SEC Outdoor Champions in the women’s 800m. He also coached conference champions in the men’s 800, men’s mile and women’s 5000 meters during his time on the Bayou. Elliott brought success to the LSU men’s track & field program as well. In a four-year span from 2007-10, his athletes swept the SEC Indoor and Outdoor titles in the 800m three times. Jamaal James did it in 2007, followed by Elkana Kosgei in 2008 and Richard Jones in 2010. Kosgei was the 2008 NCAA Indoor silver medalist, while Jones broke the school record for the half-mile in 2010. Elliott’s athletes have thrived on the international scene. He has coached five Olympians from LSU, including two-time 800m semifinalist Bernard-Thomas (2008, 2012) and two-time participant Burnett (2004, 2008). He also coached David Kiptoo, who placed sixth in the men’s 800 final at the 1996 Olympic Games in Atlanta, Ga.
Elliott hails from Spanish Town, Jamaica. He has two children, Breanna and Ashley. He married Kimberly Gardner on Dec. 13, 2014.